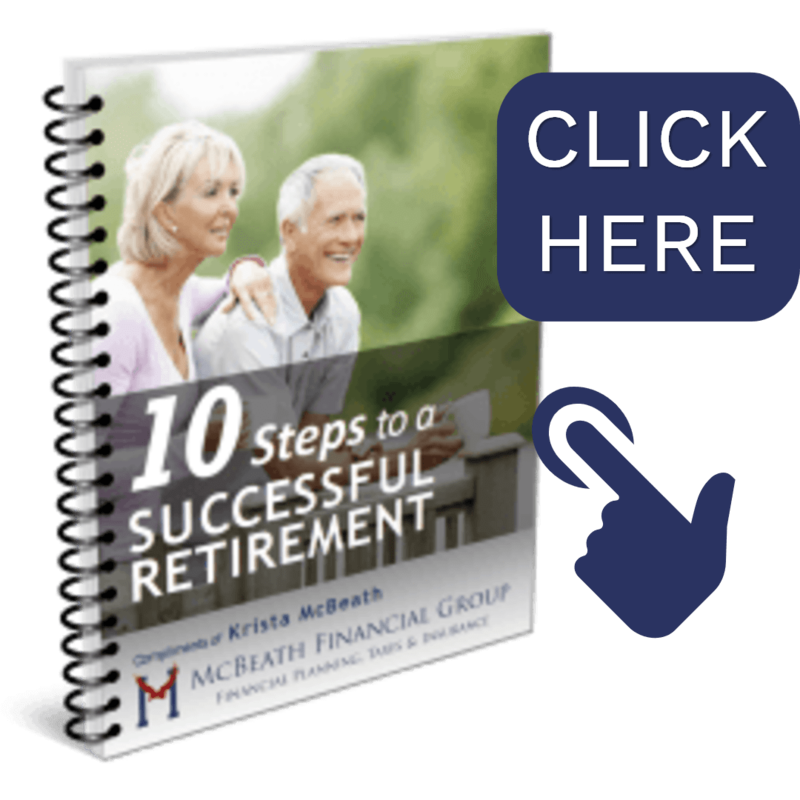 Home » Does McBeath Financial Group Sell Annuities? As an investment advisor, I’m often asked, even before a first appointment, if I sell annuities. Although I absolutely do have insurance products, including certain annuities available as financial vehicles, I really want to say, “I don’t SELL anything!” That’s because, I provide solutions based upon an individual’s current situation, needs and goals. Occasionally, the right recommendation might include an annuity. I want to be clear, it’s not the only tool I have available, but sometimes it’s the right tool! I have the ability to to assist my clients with a broad spectrum of tools ranging from stock portfolios and Exchange Traded Funds (ETF) to life insurance and annuities. I do understand why people might be concerned if I sold annuities. Annuities sometimes have a bad reputation. I believe the biggest reason for that is how they’ve been literally sold, or pushed, by some insurance agents and ‘financial advisors’ when they were absolutely not the right fit for an individual’s portfolio. It seems these individuals were oversold on the ‘safety’ aspect without regard to the investors need for liquidity or growth. Some types of annuities also have fees that further hinder returns. So, naturally when these individuals see the bulk of their retirement portfolio as inaccessible with a relatively slow growth, they are unhappy. It may be that another reason why people may have a preconceived opinion about annuities is due to biased media and advertising. Some believe that there’s a very well paid marketing bias against annuities. Those promoting their own investment vehicles may or may not have the investor’s best interest in mind. One investment firm alone spends millions of dollars a years advertising NOT to purchase annuities. It’s also of public record that Fisher Investments owned millions of dollars in shares of annuity companies. Yes, you may have heard of Ken Fisher, who has a very far reaching ad campaign, where he says “I hate annuities…and so should you!” It makes a great headline and I will wholeheartedly agree with a few of his arguments against annuities. First, he says that annuity salespeople don’t have to adhere to a fiduciary standard. Stock brokers and insurance agents aren’t held to the same level of accountability as a true financial advisor, like myself. He has a solid point and I mirror his frustration. He also has concerns with the fees on certain types of annuities, called variable annuities. I can agree with that and I do not recommend variable annuities as a financial vehicle with the financial plans I provide my clients. I do sometimes recommend Fixed Annuities or Equity Indexed Annuities as part of a balanced portfolio, if I believe they are the right tool to help my clients achieve their goals within their growth, safety,liquidity, and parameters. Fixed annuities work a lot like a CD. Like CDs, they typically pay guaranteed rates of interest each year, in many cases higher than bank CDs. And, while CD’s are FDIC-insured up to $250,000, annuities are backed by the financial strength of the issuing insurance company, regardless of the amount. Another advantage is that the interest earned grows tax deferred. This means you benefit from compound interest. Equity indexed annuities are similar in that they provide protection against market downturns while still sharing in some market growth. These annuities may also have other options, or riders, which may fit a specific need found during the planning process. In addition to a guaranteed income stream, you may desire additional payouts upon death, or full liquidity for terminal illness or nursing home. Another way I often utilize annuities would be as part of a tax strategy to lower the tax burden or pass as much of an estate on to heirs as possible. The fact that many annuities also offer a premium bonus that can add to your initial investment, is yet another reason why an annuity might be a solid choice as part of a balanced retirement plan. With that being said, there are also some great products out there that do not have bonuses available, but they still provide lots of benefits. As a financial planner, my responsibility is to provide the correct balance of growth, safety and liquidity in an effort to help achieve a client’s goals. Especially when facing retirement, there is a balancing act between safety and growth that needs assessing before a solution to meet those needs is ever recommended. There isn’t one magic bullet financial product that will offer both the best growth and the best safety. With investments, the more growth potential, the riskier the investment and conversely, the safer the investment is, the more limited the growth upside. So, it’s critical to achieve the proper balance necessary for a more secure retirement. If you error in your portfolio design toward high growth, the inherent risks could cause the value (and retirement income) to crash, causing you to run out of money in retirement. On the other hand, if neglecting the growth of a portfolio, especially in an early retirement, you’ll find that safety-based investment vehicles, while not exposed to market risk, are still exposed to inflation risk. And, if it’s a long retirement, it’s going to be important for the portfolio to growth to outpace income disbursement in the early years. So, managed assets are going to offer growth potential, in equities. And while the fixed income exposure in a managed portfolio can help to offset the risk of market down turns, there’s often still a need for a guaranteed source of income that is protected from market fluctuations. For this diversity, I’ll often utilize an annuity to optimize a retirement plan. Quite simply, the safety that comes with an annuity can help complement the growth that is achieved with managed assets. As a financial advisor who is committed to helping my clients achieve their financial goals, it is imperative that I utilize an array of reliable financial vehicles in order to create a cohesive, balanced and comprehensive financial plan. Before the actual financial planning process begins, I will not try to anticipate if an annuity recommendation will or will not help meet their stated goals. McBeath Financial Group is registered as an investment advisor and only conducts business in states where it is properly registered or is excluded from registration requirements. Registration is not an endorsement of the firm by securities regulators and does not mean the advisor has achieved a specific level of skill or ability. The firm is not engaged in the practice of law or accounting. All investment strategies have the potential for profit or loss. Insurance product guarantees are subject to the claims-paying ability of the issuing company.